LinkedIn profile writing is an art by itself. Although one many think it is similar to writing a Resume, it actually is different considering the technological aspects of search engine and algorithms used by LinkedIn to rate profiles higher. Write a catchy LinkedIn profile summary: The LinkedIn profile summary is the first and topmost aspect of your profile visible to people. Writing it attractively with proper descriptions and your complete contact information is very important. Using symbols and bullets may enhance the look of the summary and make it look more attractive. Specify appropriate LinkedIn Job Title Headings: When a recruiter or anybody search for a position on LinkedIn or on Google, these headings play a vital role in elevating your profile to top. Thus, using the correct keywords is very important. Seek help & feedback while writing your LinkedIn profile: Although there are many people willing to offer LinkedIn profile writing tips, only a few people with experience and expertise would be able to provide you with valuable information. Thus, always seek guidance from someone outside of your circle and get their feedback on your profile. Present yourself well and if required sell, yourself: There are many who believe that even slight exaggerations on your LinkedIn profile summary or LinkedIn profile role descriptions may come across as too flashy, however that is not true. As in every profession, self-marketing helps here too! Thus, use language that reflects your talents well and does not leave out any aspect of what you can offer constructively to your customers and employers. If you cannot write it, get it written by a LinkedIn profile writing service provider: Spending a few bucks on getting your LinkedIn profile is worth the money as far as you understand what they have written and are able to connect with the profile properly. It is true that you may not possess the expertise in language and keywords to write one for yourself, so take this as one of the exclusive LinkedIn profile writing tips and outsource your job to make it much easier and professional. Last but not the least, whatever amount of LinkedIn profile writing tips you follow, ensure that your profile is proofread and checked for spelling errors thoroughly. At the end of the road, you don’t want to feel dissatisfied with all the effort. For more LinkedIn profile writing tips, keep checking this space. You may avail your LinkedIn profile writing services, by emailing us on customer@golinked.in or sending us a whatsapp message on +91 860 865 7782. 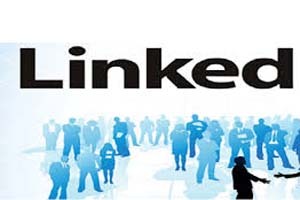 To directly buy one of our LinkedIn profile writing service packages for jobseekers, go HERE. If you are an employer looking for LinkedIn profile rewriting services, go HERE. If you wish to get some advisory help writing LinkedIn profile, just send us an enquiry via the Contact Form and we shall be glad to help.